In a Nutshell: Car sharing with Zipcar can be a great alternative to vehicle ownership because of its low membership fees, easy-to-use app, and flexibility. You pay to use a car, but gas, insurance, maintenance, and parking are all included. More than one million members are already using more than 12,000 Zipcars in cities, on college campuses, and at airports in nine countries. With every Zipcar taking up to 13 vehicles off the road, the company hopes to have just as big of an impact on the environment as it does on its members’ wallets. For many, owning a car is a rite of passage. The first thing a lot of kids do when they turn 16 is get a driver’s license in hopes of getting their own car soon after. If they are lucky enough to get one, mom and dad may even make monthly payments and spring for insurance, gas, and maintenance at first. But once that driver gets out into the real world, the car-ownership experience is much different. Paying for a car can quickly put someone into a cycle of debt. Monthly payments, tune-ups, repairs, insurance premiums, fuel costs, and even parking can add up. If you have bad credit, a car can cost even more. You will be paying a higher interest rate if you can secure a loan, and, with all of the other associated costs steadily emptying your bank account, your credit score could pay the price, too. The popularity of car-sharing innovator Zipcar shows the car-owning mentality is changing. With Zipcar, you can enjoy the good things about owning a car but bother with far fewer of the downsides and expenses, plus it can be great for the environment. 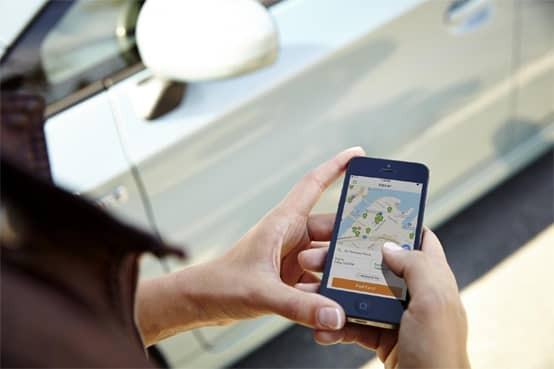 Zipcar makes the process of joining, reserving, and driving a car easy with its app. The idea is simple: reserve a car, drive it, and return it while paying only for the time you use it — whether it be an hour, a day, or up to a week. Saving on those costs can add up to a lot of money, and if you are already hurting credit-wise, Zipcar could be a good financial decision. Knowing that a car costs money to own is different from having an idea of how much it costs. Maybe you don’t think you pay that much for a car every month but, according to the Federal Highway Administration, the average American family spends 19% of its annual income on transportation. That is almost $1 out of every $5 a family makes. According to Zipcar, its drivers save an average of $500 a month by not owning a car and using the service. Want to know exactly how much you could save? Plug in your current payments and estimate your current usage with Zipcar’s vehicle cost calculator and see how much less you’d be spending. See how much you could save with car sharing as opposed to car ownership with Zipcar’s calculator. Zipcar doesn’t just save money in comparison to owning a car, though. It can also give traditional rental cars a run for their money. Waiting in line to rent a car can be frustrating enough, but to see exactly how much you will be paying for insurance and mileage can be downright deflating. Plus, don’t plan on returning the car with an empty gas tank. If the tank isn’t full, you could be paying more than twice the cost per gallon of gas to fill it up. With Zipcar, insurance and gas are included, and there is no waiting in line because you have reserved a car for a specific time. Just show up and drive away, with 180 miles included per day at no extra cost. Even if you run out of gas, you don’t have to pay to fill up. Each Zipcar has a fuel card in the driver’s side visor that you can use to refuel the car on Zipcar’s dime. There is also no paperwork to fill out on either end, so the entire experience is smooth. Zipcars are found at more than 50 airports in North America, giving travelers more options before and after their flights. Plenty of people, air travelers included, have already chosen Zipcar. 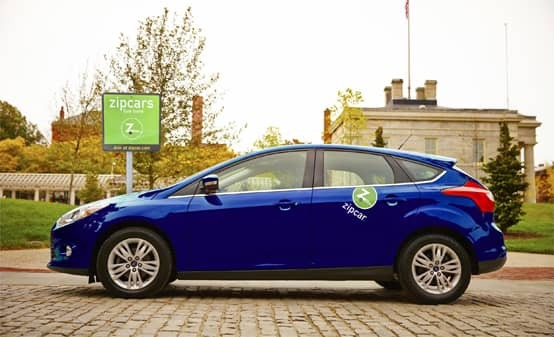 Zipcar has operations in 31 major metro markets, 500 college campuses, and over 50 airports. It is also in nine countries and has a fleet of over 12,000 vehicles, so it’s easy to see why Zipcar recently surpassed the 1 million member milestone. The company isn’t resting on those accomplishments. Instead, Zipcar is innovating — moving forward with a flexible service that allows drivers to pick up a Zipcar at one location and return it to a different location. The service is now offered in five major cities — Boston, Seattle, Los Angeles, Washington D.C./Baltimore and Denver — with plans to continue to roll it out throughout the country. When Zipcar began, people could go online and apply for membership. After getting approved, they would be mailed a Zipcard — a credit-card sized device used to unlock the car. So, from signup to driving a car was about three days. Zipcar’s mobile app has reduced that time to just a few minutes. Now with the app, you can sign up for Zipcar, get approved, and use your phone to unlock the car. This fits into today’s connected culture perfectly. The entire Zipcar process, from signing-up to dropping-off, can be completed through its mobile app. “Once they’ve joined, members can use their phones to reserve and unlock the car. Take it where you need to go, and when you’re done, bring it to its designated spot, use the app to lock the vehicle, and you’re done,” Kate said. 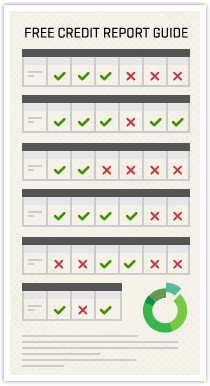 Simplifying the process to just a few steps is something the company is very proud of. Using the mobile app for everything makes things easy, especially on college campuses where students are so mobile-savvy. Zipcar is becoming a way of life on over 500 college campuses. With campus parking already scarce, some students are deciding to ditch bringing a car to school altogether. In fact, a recent study by Zipcar and the University of California at Berkeley found that 30% of Zipcar members would have brought a personally owned car to campus if the program didn’t exist. Additionally, 42% of respondents said they don’t expect to buy a car in the next few years because of Zipcar. That decision could extend beyond college as they become more accustomed to car sharing — and saving money. Zipcar is becoming popular on campuses because of the lack of parking and the savings it offers students. Zipcar also makes it easier on students to become members by lowering the age restrictions and often giving a discount. One of Zipcar’s goals is to get cars off the road by making it easy for its members to share. Colleges are a great place to start because they are localized examples of a far bigger problem: there are too many cars on the road. Not only can Zipcar imagine a future in which car sharers outnumber car owners, it is actively working toward that goal. Zipcar’s annual member survey revealed that nearly 10 percent of members get rid of a car after joining, and 32 percent would have purchased a vehicle without the presence of Zipcar. As a result of Zipcar’s global membership in nine countries, more than 413,000 vehicles are not on city streets. Not only does that save people money, but it also saves wear-and-tear on roads and lessens the amount of exhaust emitted into the air. The average Zipcar user helps save around 219 gallons of fuel from being used every year. Saving money and the environment are two big reasons why Zipcar is helping people make car sharing their primary form of transportation. The company makes it easy to calculate the costs so you can see if Zipcar is right for you. Driving can be an exhilarating experience, and many of us remember being that 16-year-old driver with a long road of possibilities ahead. As we get older, though, that exhilaration can turn to frustration as bills mount and needed repairs pile up. One thing is certain about owning a car: eventually, the maintenance is going to catch up with it, and it will not be cost-effective to fix. The old way of thinking was to buy another car and start the whole process over again. With less than stellar credit, that could mean more car payments, insurance, gas, and maintenance. Zipcar is trying to make it easier to not own a car, one member at a time.